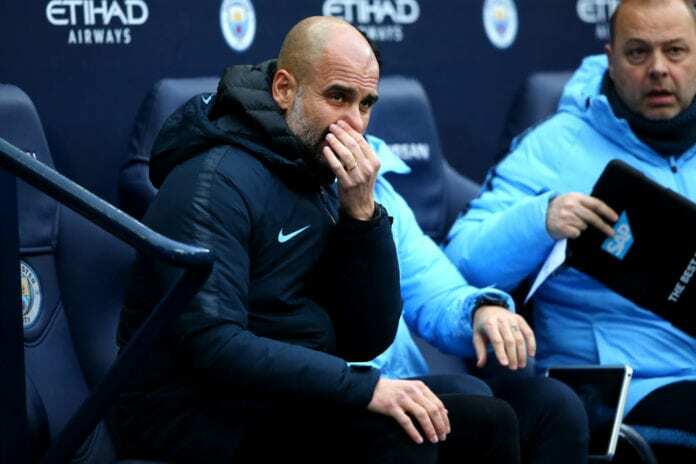 During a press conference ahead of Manchester City’s match at Newcastle United, Pep Guardiola confessed that the Citizens have a margin of error. Pep Guardiola took Manchester City on a record-breaking last season after they won the Premier League by getting 100 points, this was unheard of for the new format of the competition but this season that record is within reach. The Catalan manager is aware that Liverpool is the rival to beat this year, but he also believes that the Reds will end up dropping a few points here and there against complicated rivals that will give the Citizens more room to maneuver. Pep Guardiola even seems to think that his squad has a little bit of room to make some mistakes and also drop a few points but he would obviously prefer this didn’t happen. 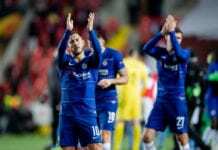 The race for the Premier League title will continue on Tuesday during a mid-week fixture in which the Citizens will visit Newcastle United, and Liverpool FC will receive Leicester City on Wednesday at Anfield Road. The Reds have the disadvantage of playing after Manchester City puts pressure on them, something that no leader in any competition likes because this adds a lot of responsibility for them to win the three points against their rival in turn. Pep Guardiola is very aware of what’s at stake here against Liverpool, he knows that the Citizens have to win absolutely every single match they have left in order to have a chance to win the title and he knows this won’t be easy at all. But Guardiola remains hopeful that his players won’t have to go to uncharted territory and break their own record from last season in order to win the title, he trusts that Liverpool drop points along the way. “I would say it’s not breaking the record, that doesn’t matter, but we’ll have to win a lot of games. They’ll not drop too many,” said Pep via Four Four Two. “I don’t know what they think, I’m not in Jurgen’s locker room. All we can do is win games and make them feel City is always there, it’s all we can do,” he added. “We have to prepare for everyone. Newcastle change system in the last 10 or 15 minutes, the spectators want that. The stadium is incredible,” he continued. The challenge for Manchester City remains the same despite what happens this season in the Premier League, because even if Guardiola has repeatedly stated that the domestic tournament is the most important this season, the Champions League is still what the board of directors demand from him. Even if they don’t get to win the Carabao Cup final against Chelsea, the Catalan manager is aware that his players have to get good results in the continental tournament if he wants to keep his job and also keep fighting to win the Premier League until the very last breath of the season. Liverpool losing points is very likely, but Manchester City not getting eliminated in Europe is not something that people would like. Winning titles will be considered another success for this very talented manager, but doing it while also reaching the Champions League final despite maybe losing it, would be seen as a massive achievement by the owners and it would definitely buy him a little more time to keep trying next season. 🏅 Holds record for most consecutive league wins in 🇪🇸, 🇩🇪 and 🏴󠁧󠁢󠁥󠁮󠁧󠁿 top leagues. How much margin of error do you think Pep Guardiola has this season at Manchester City? Please share your opinion in the comment section down below.